Electronic Arts, the game’s publisher, gave a very brief tease of the new game at an event on Saturday. EA’s event marked the beginning of E3, the biggest annual trade show in the video game industry. The company unveiled only a 50-second teaser trailer, with little indication of how “Anthem” actually plays. So there’s not much to say just yet. Based on what we’ve got, though, we can say there are robot suits, gnarly monsters, and dramatic undertones. If all of this raises your interest, you won’t have to wait long for more details: EA says a fuller reveal will come at Microsoft’s planned Xbox event on Sunday. 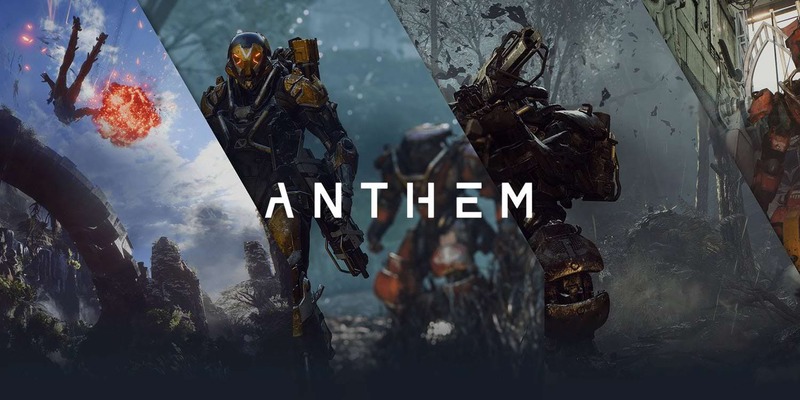 “Anthem” is notable for being the long-teased next intellectual property from Canadian game maker BioWare, which has created a number of beloved action and role-playing games over the years. The most popular of those is likely the acclaimed “Mass Effect” series. While the teaser trailer doesn’t give any specific gameplay footage, past comments from EA boss Andrew Wilson have characterised as an action-adventure title that’s built a “live service” of some sort. Wilson said in an earnings call in May that the game is on track to arrive sometime in EA’s 2019 fiscal year. "Available on all platforms" I assume means the big three. Doesn't exactly look like a Switch game. 4P co-op open world game in flying Iron Man suits. Looks super sick. It's incredible. Like a Destiny with campaign. Not to speak of the suit mechanics. They should have said CONTROL YOUR DESTINY. Also interesting that I don't see BioWare's logo anywhere on the frontpage. Too bad it's a 2019 game. It looks like Anthem has been crashing or bricking the consoles. Hopefully, this doesn't extend to PC, especially by the time I get to streaming this. 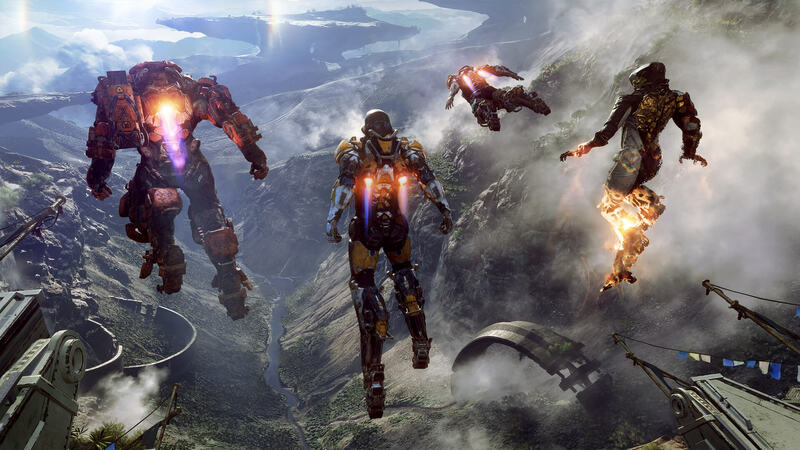 As if Anthem needed any more bad news, the latest “it gets worse” craze sweeping the news is that players are getting together and realizing that they are not alone in experiencing one of Anthem’s scariest bugs. It has the potential to not just crash the game, but in doing so, shut off your entire console. And in a few specific cases, some players are reporting they can’t turn theirs back on again after. The past few days have brought a number of reddit threads with players saying they have experienced this kind of crash-shut-off on PS4. One of the most shared threads is from a player who claims the shut-off actually “bricked” his PS4, and that story was picked up by Kotaku yesterday. I too have experienced this shut down issue, though on my Xbox One X, not PS4. This problem seems to be far more prevalent on PS4 than Xbox, yet I’ve talked to at least a couple other Xbox owners that have seen this too, and I only know what happened to me. Like the PS4 crash, my crashes on Xbox didn’t just restart the console, they act like someone yanked the cord out of the wall completely. My Xbox is usually on “sleep” mode as in, when it’s off, it’s not really off as you can boot it quickly to get back to what you were playing. But both times when Anthem crashed during a mission and shut off the console, it was off off, as in the entire console had to restart from scratch. Xbox does not do the disk-checking animation like PS4 does when it shuts off involuntarily, but it was a similar situation. I have literally never seen this happen with any game on Xbox before, and thought it was bizarre, but didn’t think too much of it until I saw what a widespread problem it apparently was.